Fifty years after introduction, the Pill has yet to make a mark. Jiang Xueqing in Beijing reports. Two weeks after getting an exciting new job with a global business group, Lin Yanping discovered she was pregnant. For a woman already juggling a career in public relations with being a mother to her 4-year-old son, the news was far from welcome. Although the 30-year-old admitted she was not using any form of contraception, she felt certain her long-trusted system of "calculating when it is safe" would protect her. She was wrong, and doctors quickly pointed out that menstrual cycles can be greatly affected at times of stress - such as the kind caused by starting a new job. Lin had an abortion, blaming the episode on "bad luck". Yet, even today she prefers to trust in her calculations than in the combined oral contraceptive pill, commonly referred to as the Pill. In the 50 years since the United States' Food and Drug Administration approved its release, the Pill has become one of the most popular forms of contraception in the West. However, medical experts say it has yet to make its mark in China, where the public still holds many widespread misconceptions. 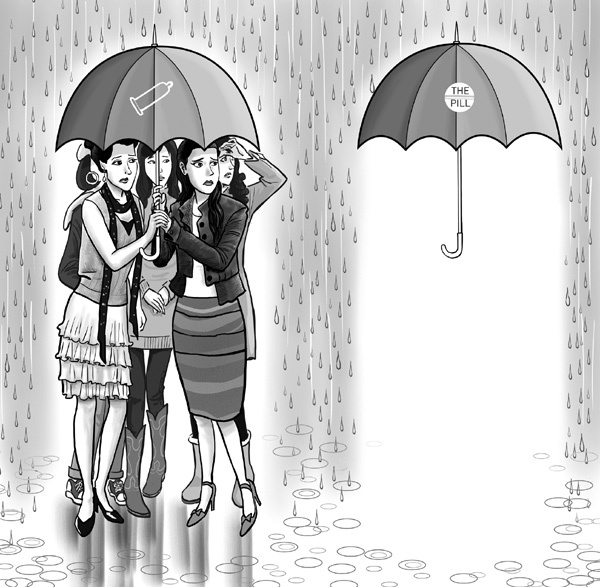 "Taking the Pill is against nature and I'm afraid it will harm my health," said Lin. "Besides, the Pill has to be taken every day. It's too troublesome and I'd definitely forget." Lin's attitude is not uncommon. According to a 2009 online survey by the China Population Communication Center, 67 percent of the 8,501 respondents worry about the Pill's side effects. Other concerns included the hassle of remembering to take it every day (17 percent) and its effectiveness (14 percent). As a result, just 1.7 percent of all married Chinese women aged 15 to 49 who use contraception take the Pill, said Wu Shangchun, a research fellow at the National Research Institute for Family Planning. The number stands in sharp contrast to the 41 percent reported in the Netherlands, 29 percent in Britain and 18 percent in the US. Chinese instead rely on other contraceptive methods, such as condoms, sterilization and intrauterine devices (IUD), which are placed in the uterus. The annual Health Statistics Yearbook shows almost 8 million women received IUDs in 2008, with another 1.8 million undergoing vasoligation or tubal ligation operations to have their "tubes tied". Central authorities promoted IUD and sterilization in the 1980s and 1990s as the measures can be effective for years, making them easy for family planning officials to monitor. Only in the past decade have more people turned to private and independent measures like condoms and the Pill. About 10 percent of married couples aged 15 to 49 used condoms in 2006, according to the National Population and Family Planning Commission. However, although more popular than the Pill, condoms are still not as reliable in terms of protecting against unplanned pregnancy. Clinical trials on 100 women over a 12-month period have shown that an average of two to 12 accidental pregnancies occur with the use of condoms. That number drops to 0.1 to one with the Pill. However, the vast majority in China is still not aware of such information. 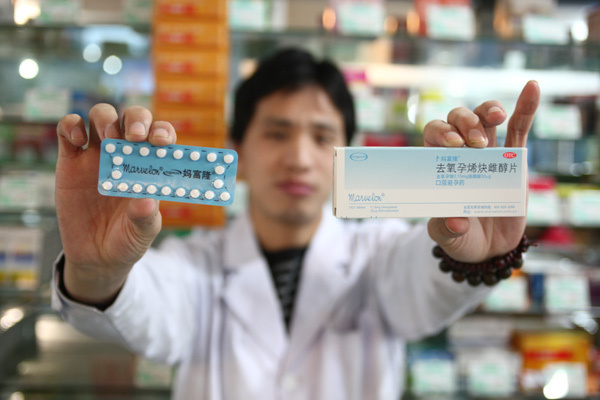 "Chinese women in general have many misconceptions about hormones and the Pill," said Cheng Linan, chairwoman of the Chinese Society of Family Planning at the Chinese Medical Association.